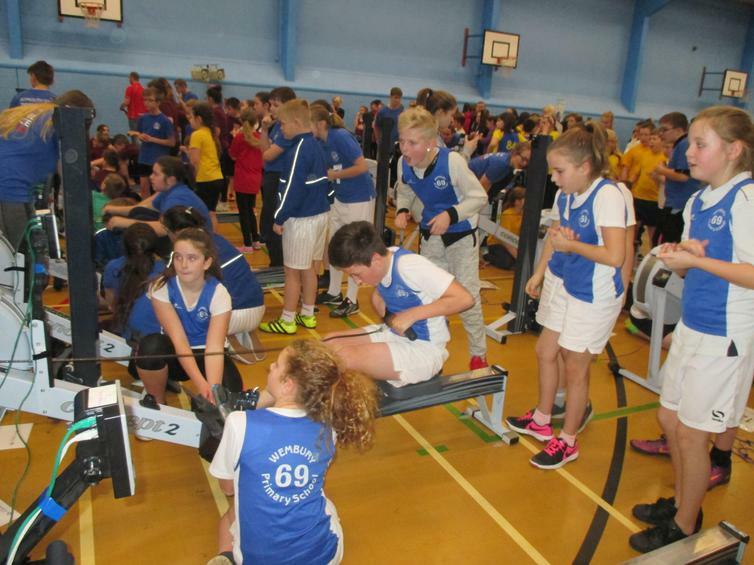 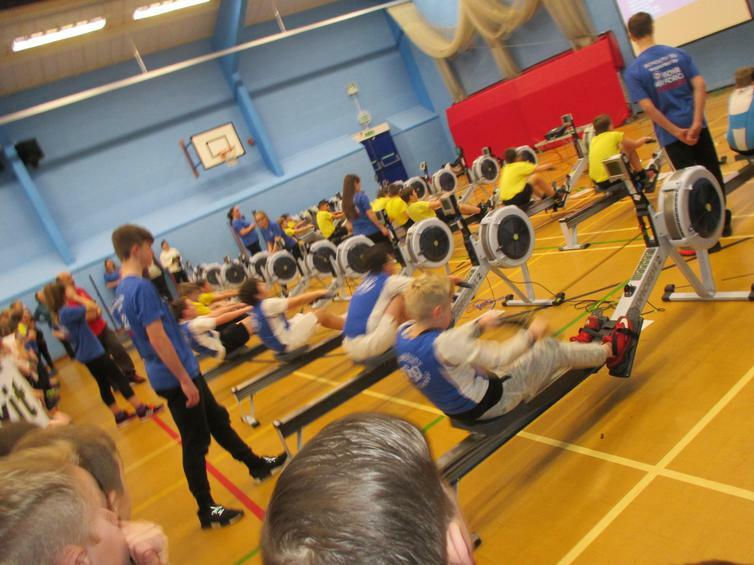 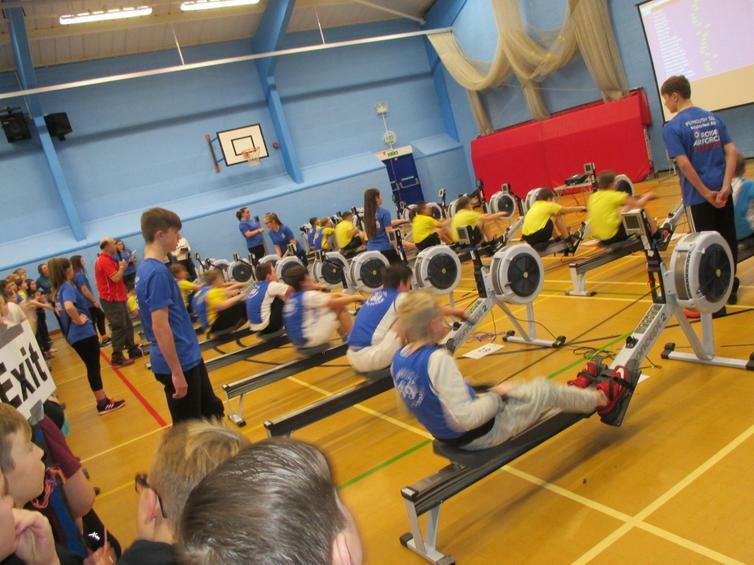 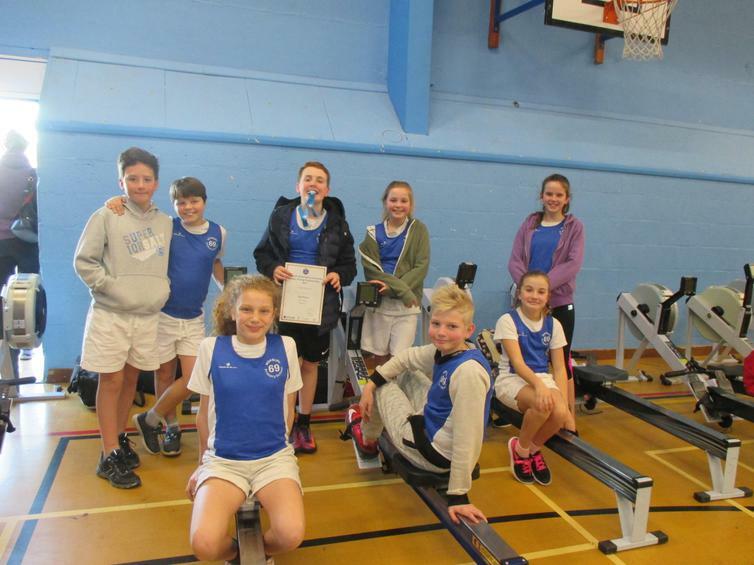 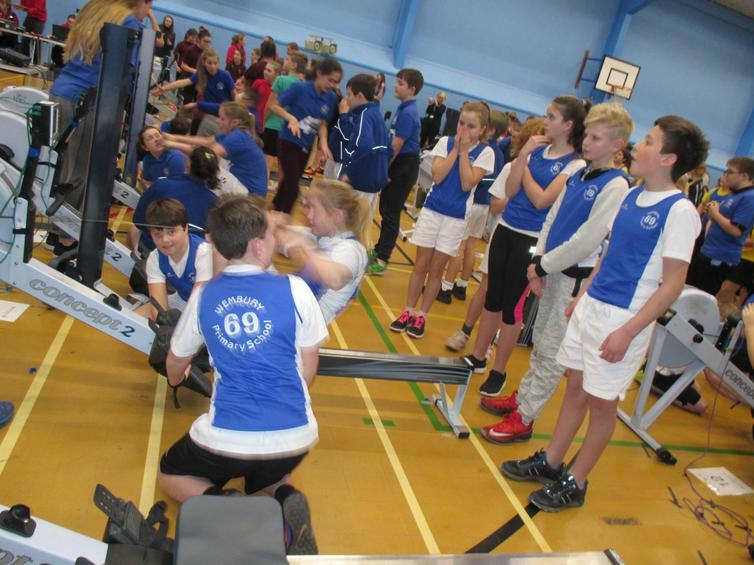 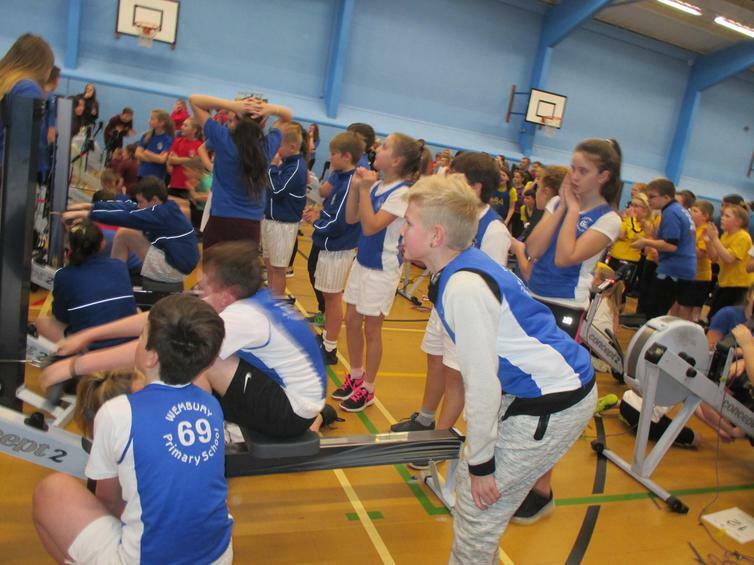 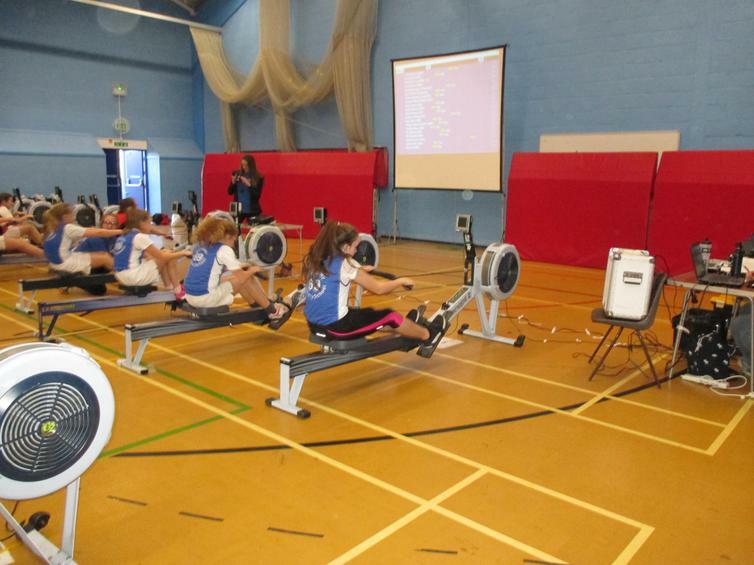 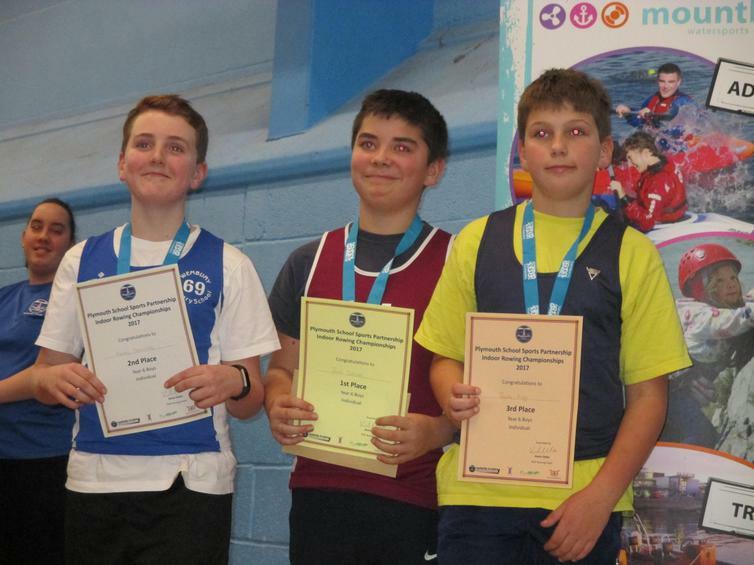 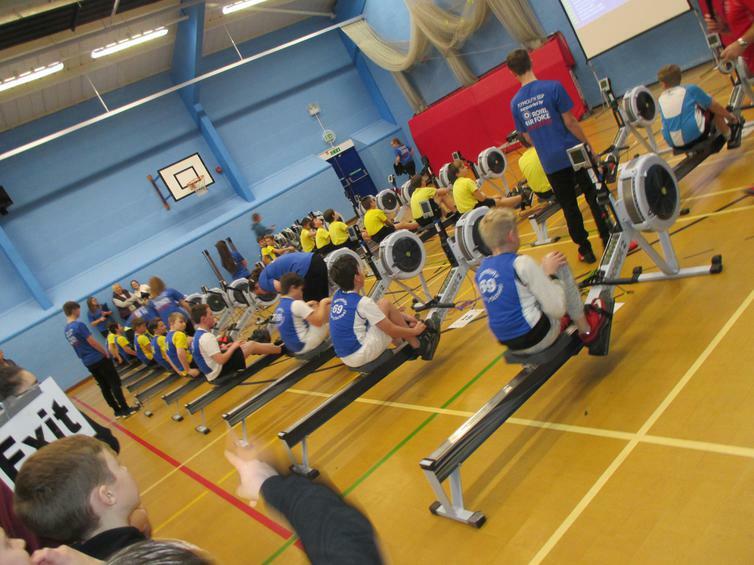 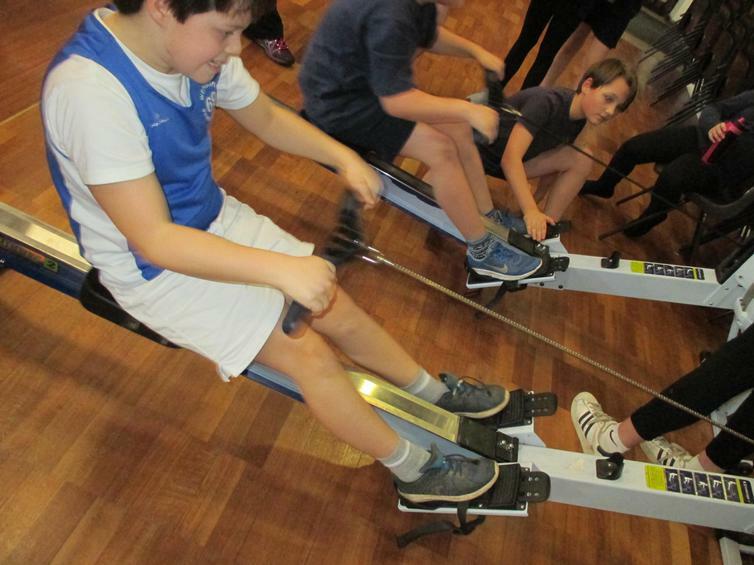 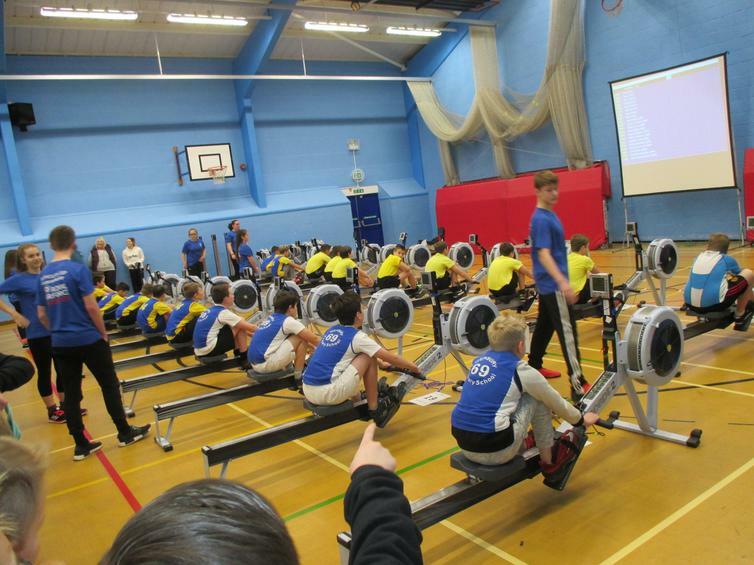 Wembury embarked on another sporting adventure today, this time the Indoor Rowing championships at Plymstock school. 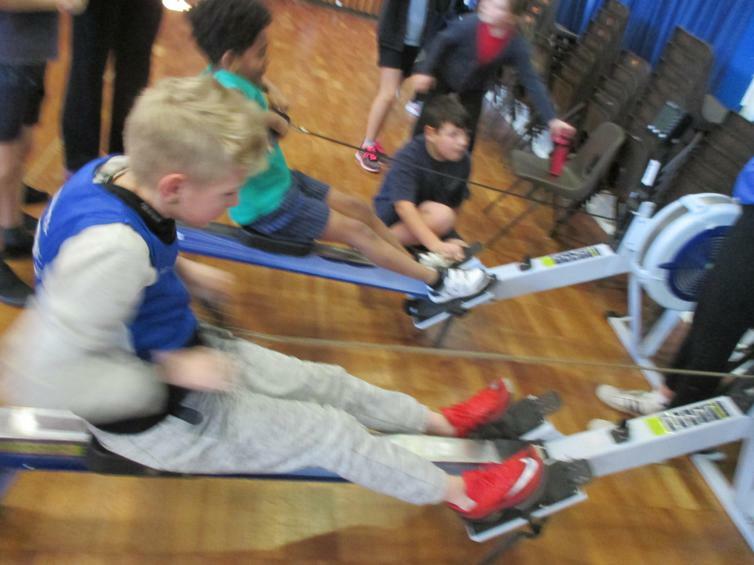 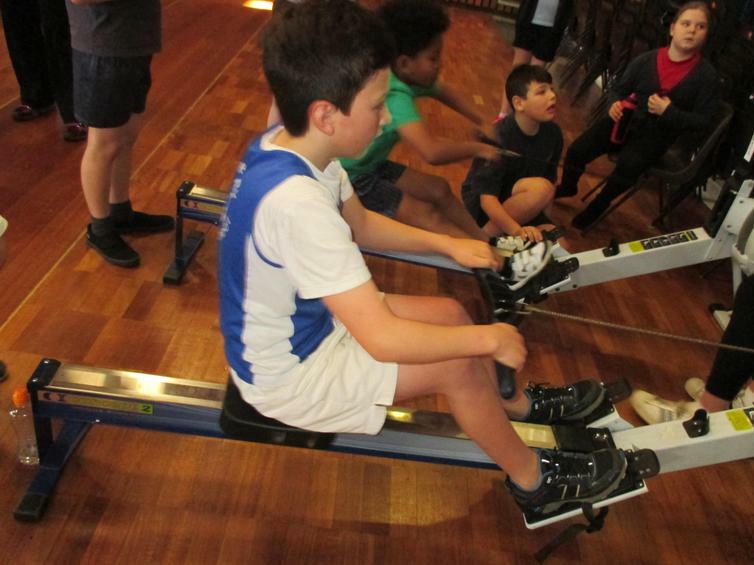 Our fabulous team of 4 girls and 4 boys from year 5&6 took to the rowing machines again today, but this time they were not rowing against their class mates. 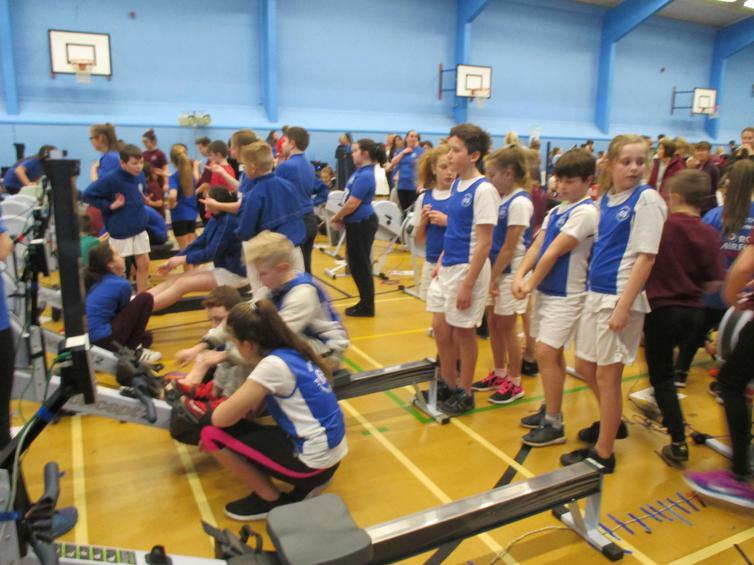 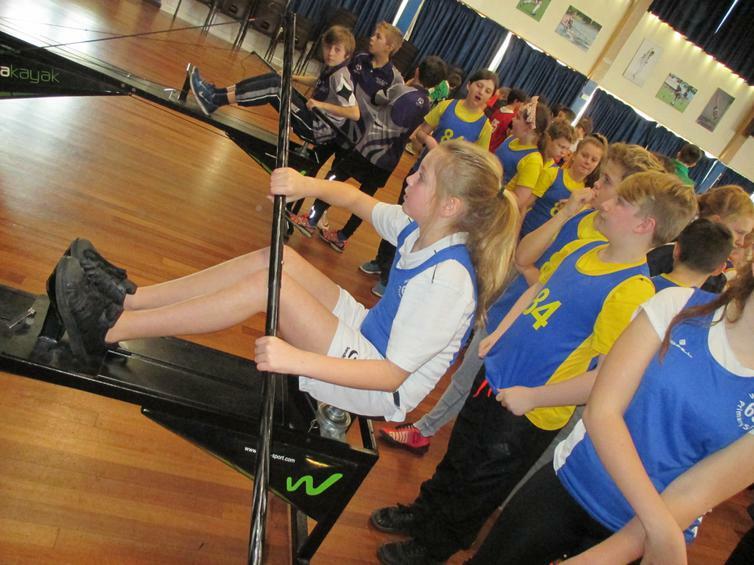 34 schools attended today's rowing extravaganza with many of the larger schools entering more than one team of 8. 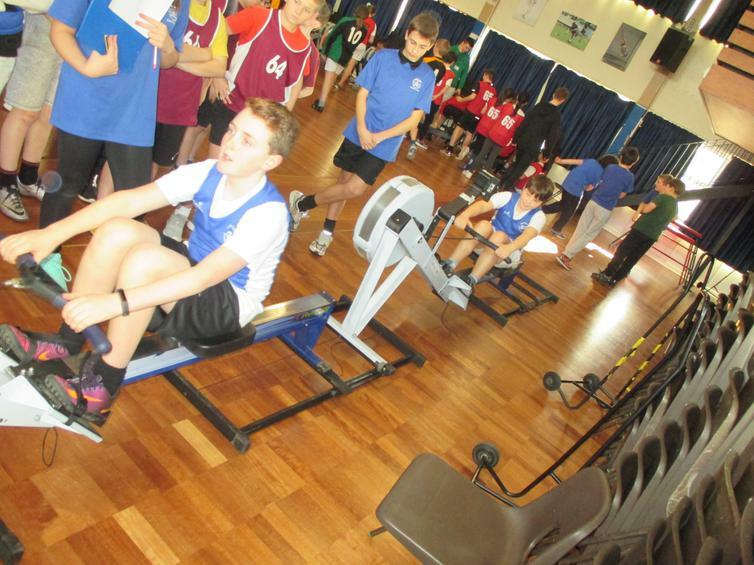 The boys individual heats were first. 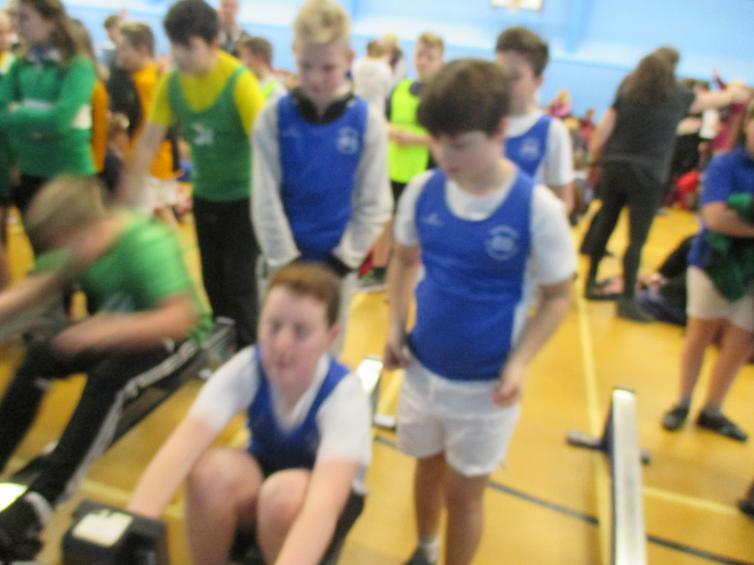 5 teams of 4 boys using 20 rowing machines in each heat. 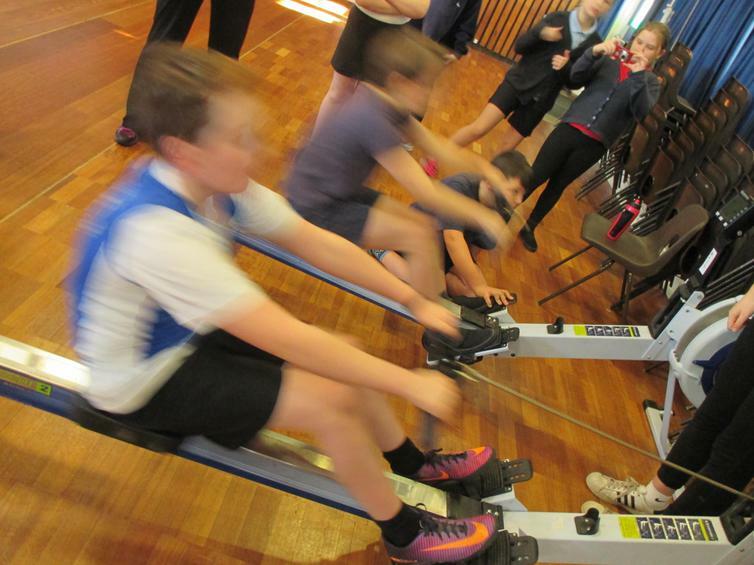 They raced full speed for 2 minutes and the winner covered the most meters in the time. 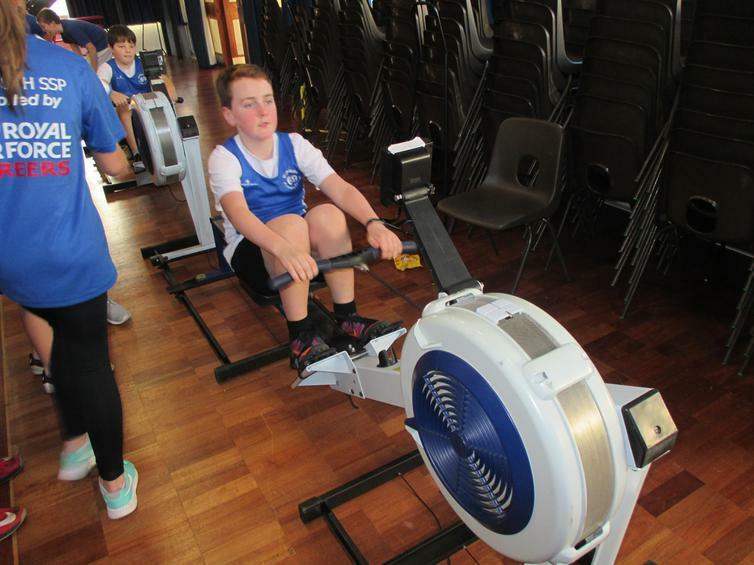 Some amazing efforts from all children involved, with our very own Harvey finishing 1st in his race! 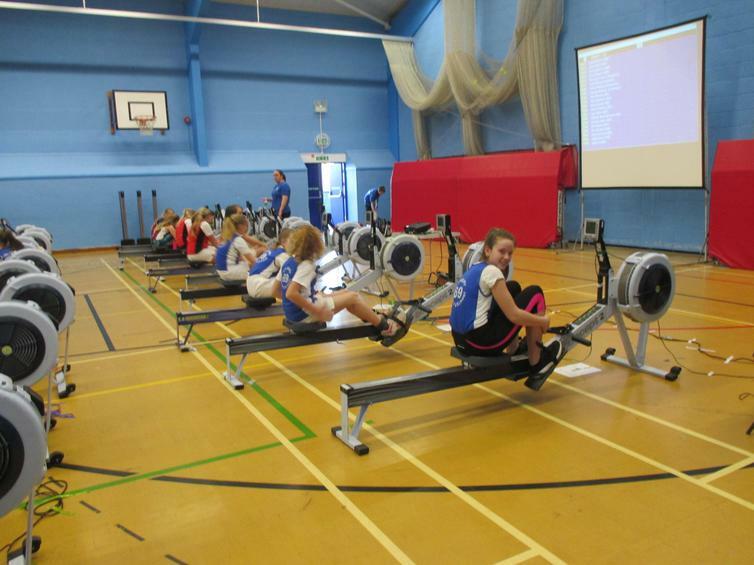 Then came the girls turn. 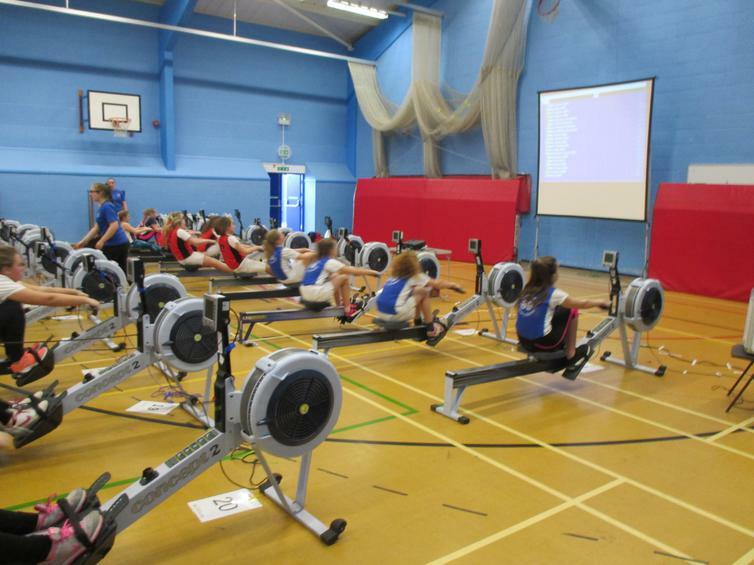 Same rules applied, 20 girls in each heat, 2 minute race, most miles wins. 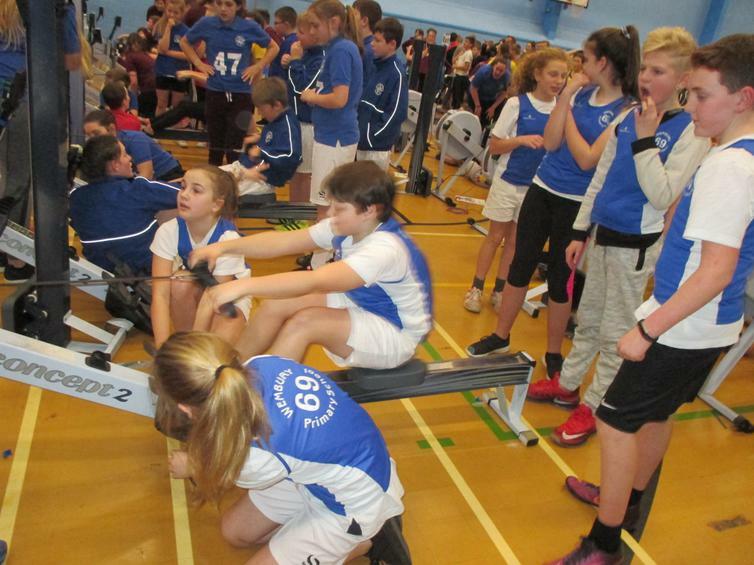 The girls put everything into their race, so much so that Grace managed to pull herself completely out of her shoes mid row! 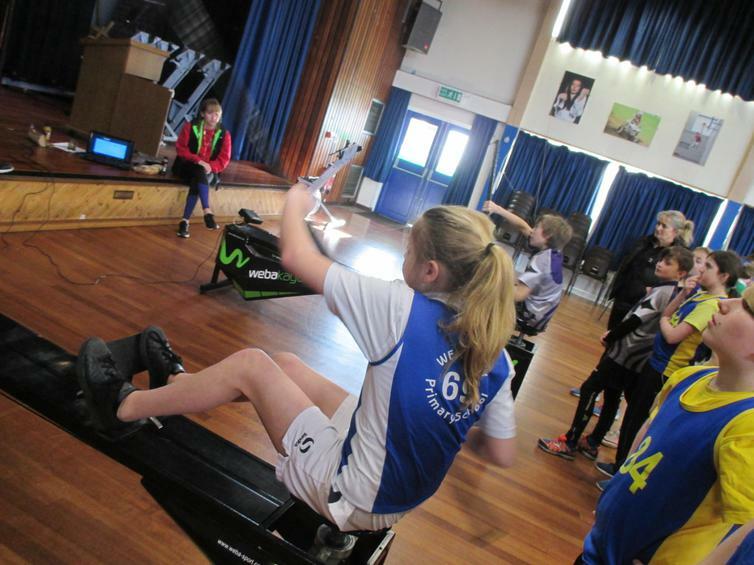 But that did not stop her from completing her race - determined to the end. 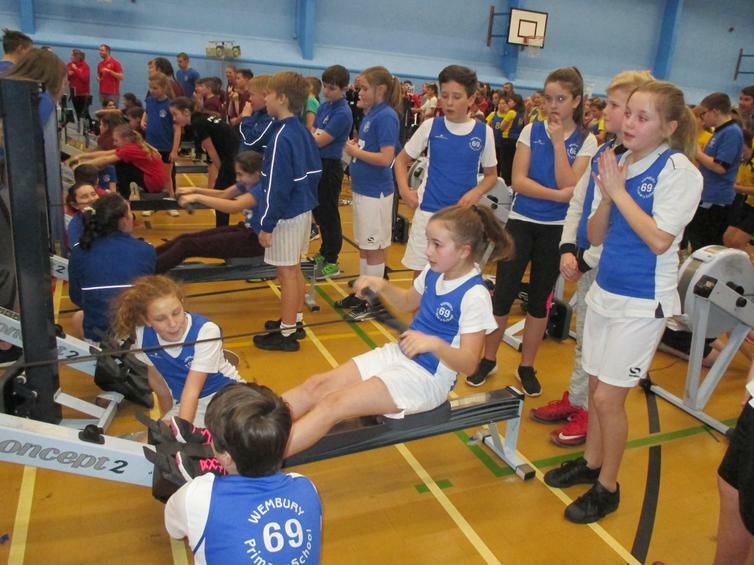 It was our Lottie from year 5 that wowed us coming in 3rd in our girls team event! 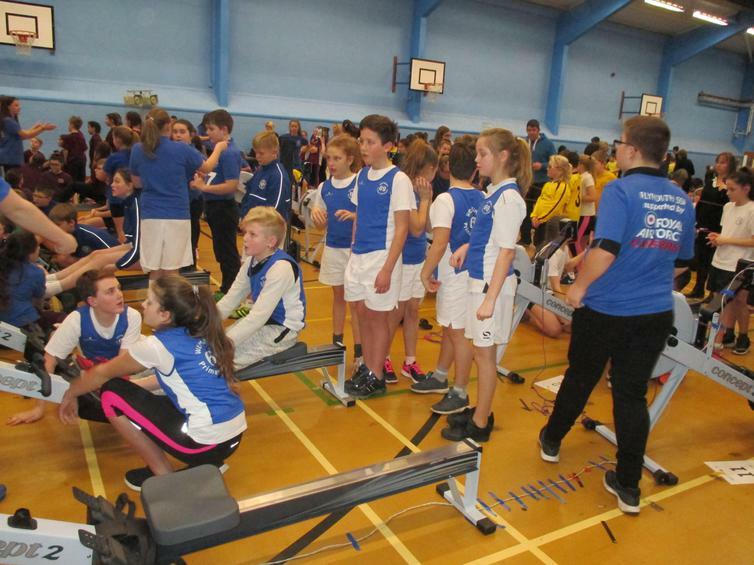 We then had some time while the many other heats took place. 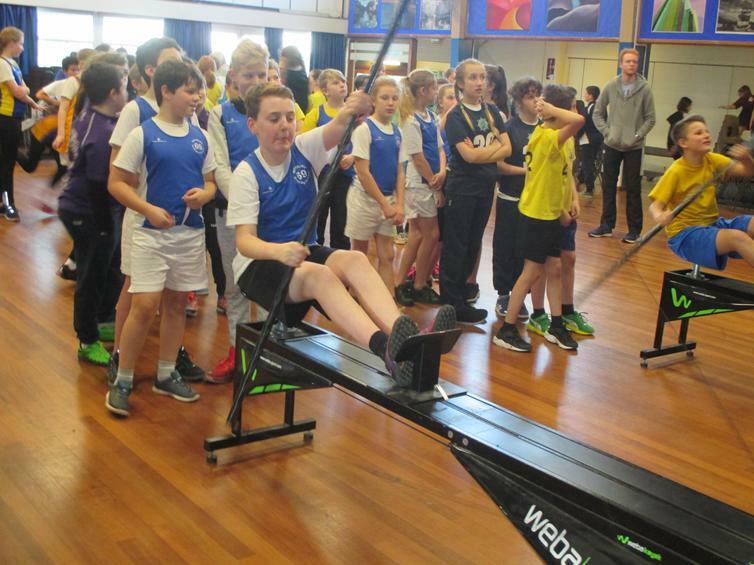 Brilliantly organised as ever, the PSSP provided many other team events to take part in like Golf rowing, fishing on a rowing machine and even a kayaking machine. 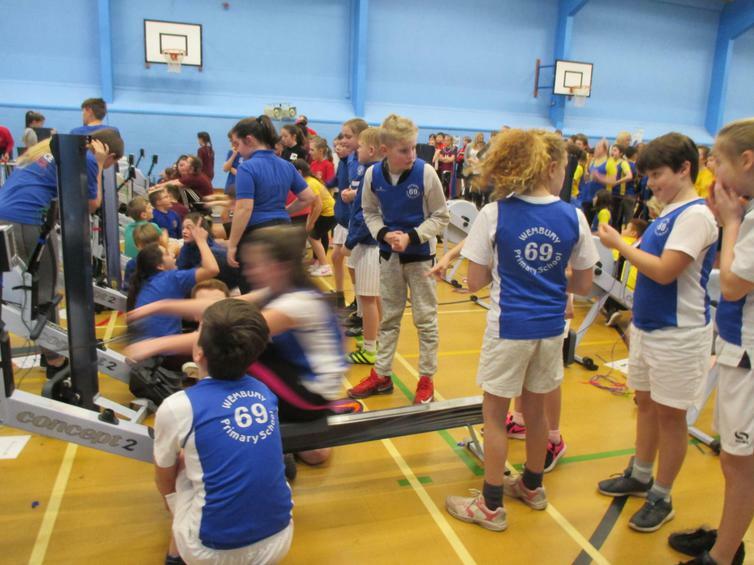 The team events were next where our whole team had to race in a relay. 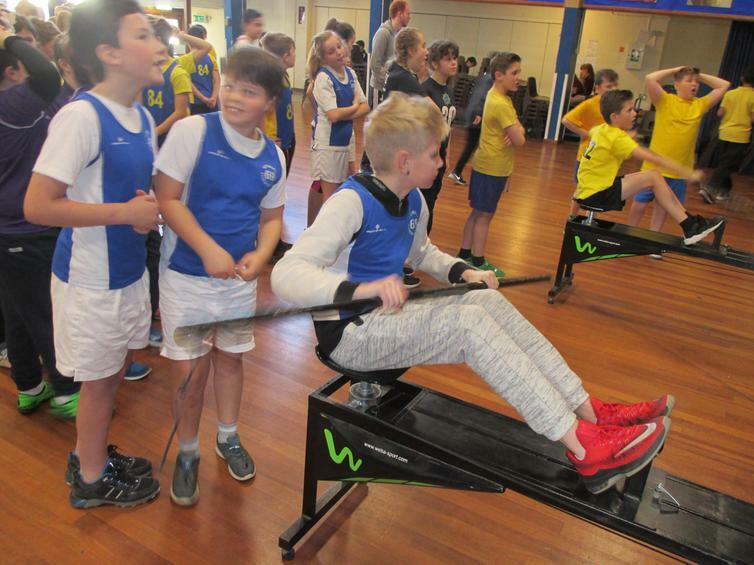 Teamwork is essential as you have to complete a seamless changeover while keeping the rowing moving and ensuring whoever is in the saddle is strapped in securely. 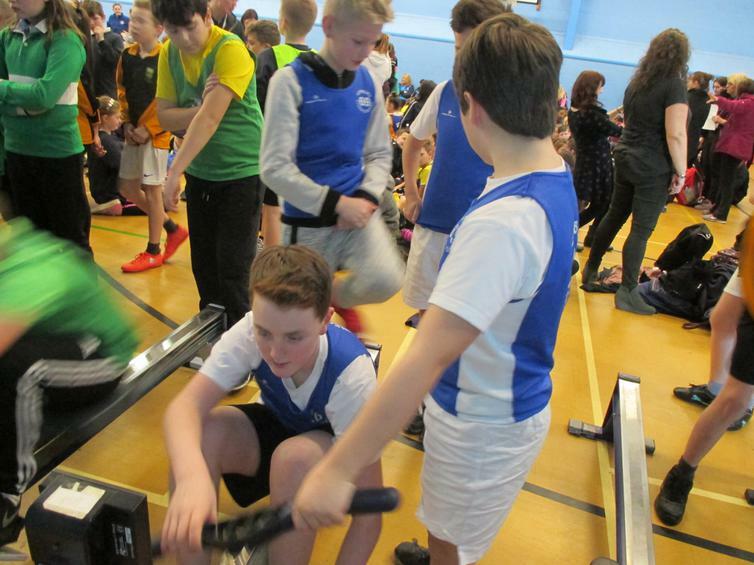 Each team member had to row for 30 seconds as fast and as hard as they could with the whole race lasting for 4 minutes. 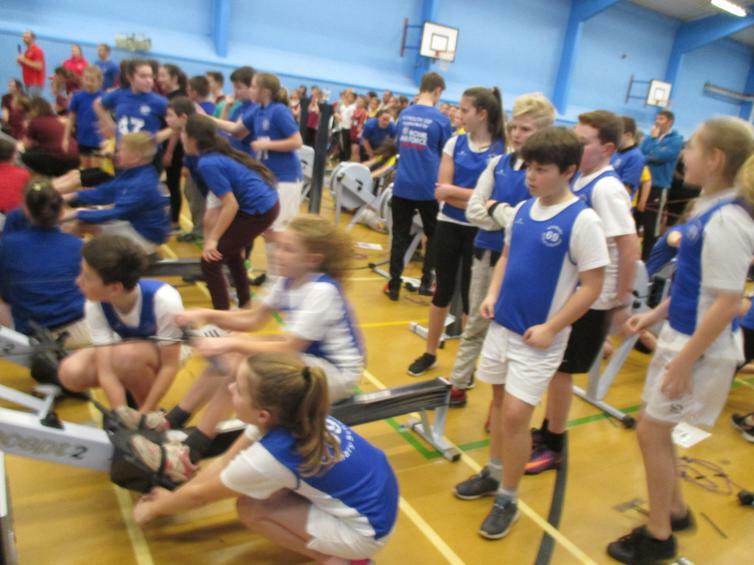 We rowed home in a very respectable 4th position in our heat with every team member giving their all. 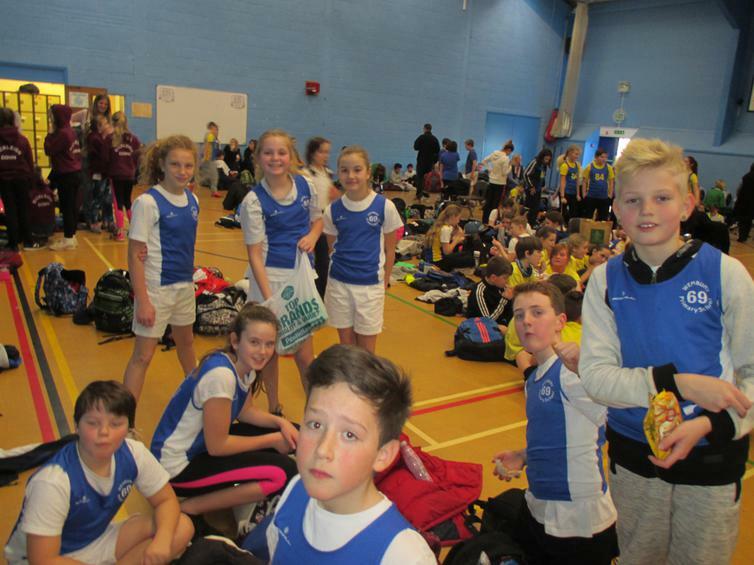 I can honestly say I couldn't have been prouder of the effort and commitment shown by every member of our super Wembury team today. 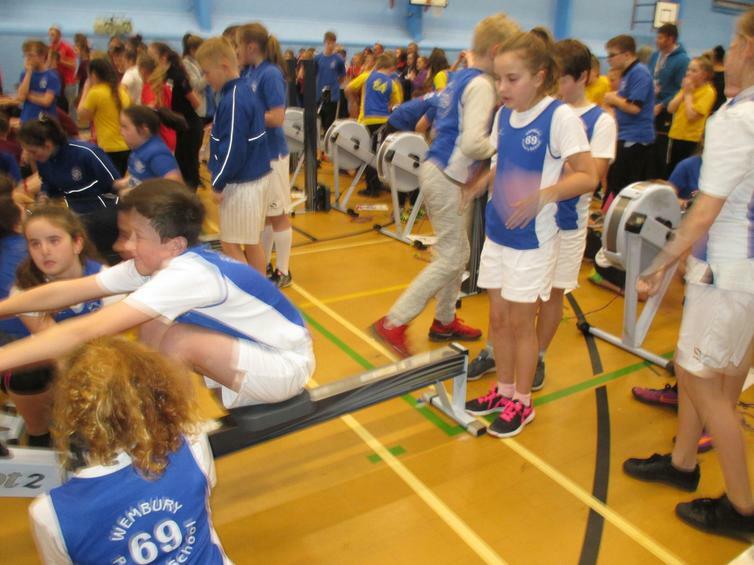 As ever a real credit to themselves and our school. 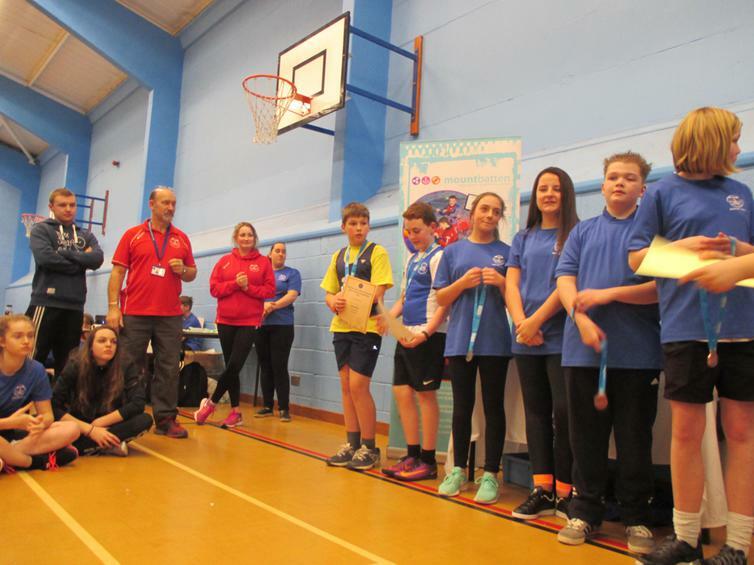 The day ended with the prize giving. 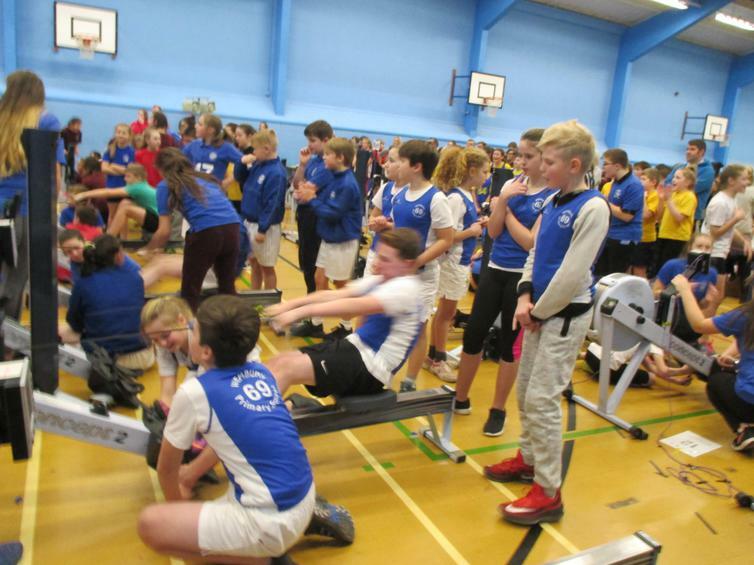 Prizes were awarded for the golf, fishing and kayaking events, and then 1st, 2nd and 3rd awards for the boys individual, girls individual and team relay races. 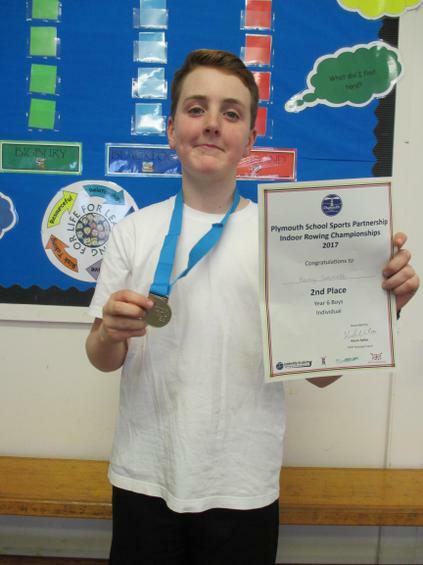 A very proud moment for Harvey and Wembury when they announced that Harvey had won overall 2nd place in the boys individual race, a real personal achievement, well done Harvey, and well done to our whole team! 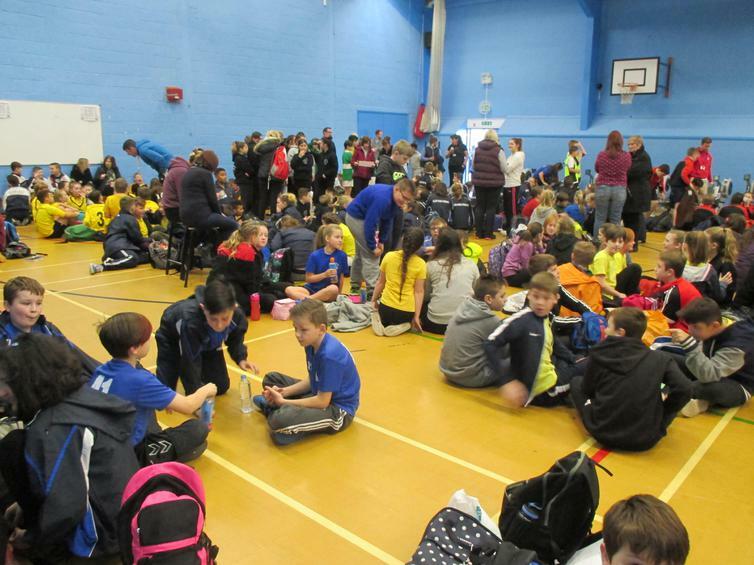 For the full list of the days events and places please click here for the PSSP website. 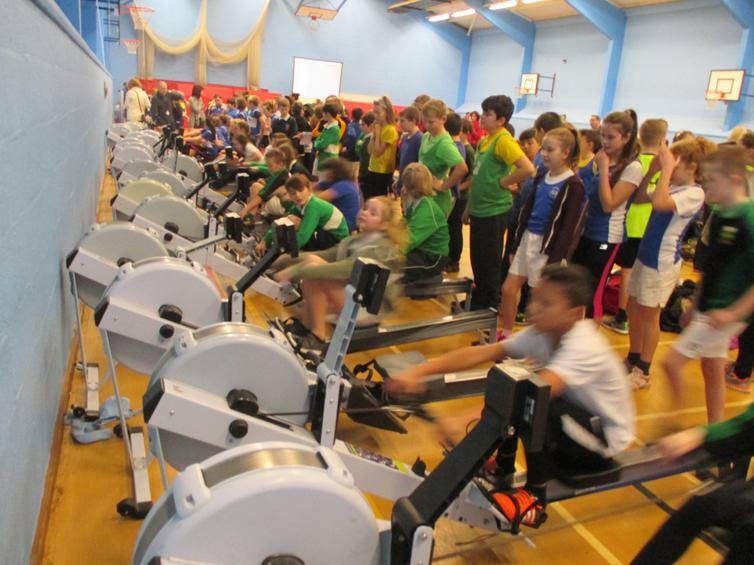 For all other sporting events and achievements please click here for the PE curriculum page.